Carlene Sumner is proud to be affiliated as a Broker with Southern Lux Living. Since January 1999, Carlene has enjoyed a lucrative real estate career in Utah and North Carolina. Having earned numerous awards for listings, sales, and closing volume early on, Carlene was also privileged to work within the real estate industry as a Managing Broker for offices in Park City, Utah and Wake Forest, North Carolina. 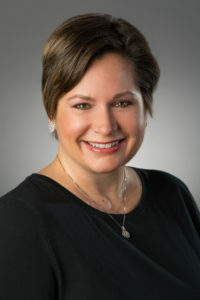 She also served as the Director of Career Development, managing recruiting efforts, as well as training and coaching both new and experienced agents, for a couple of Raleigh real estate firms before devoting herself, solely, to real estate sales and marketing. Carlene was determined from the start to set herself apart from other real estate professionals by focusing on quality versus quantity. “The most important thing to me in my real estate career is being able to provide a level of service superseding that which other agents offer. Being the one who answers the phone, responds to emails, reaches out with updates on a regular basis, provides knowledgeable and truly listens and understands the needs and wants of my clients so I can deliver quality service, that is what makes all the difference.” Because of this focus, Carlene has regularly received 100% Customer Satisfaction results and repeat business from past clients, a true representation of client satisfaction. Over the past two decades, Carlene has been affiliated with almost all of the major real estate firms along with a few smaller firms. So why choose Southern Lux Living over a major firm? Southern Lux Living is committed, like Carlene, to being approachable and offering quality service, honest dealings, and having integrity. As a client you can always count on Carlene to take care of you through your entire real estate transaction. Making sure you understand the process from the beginning, guiding you through from start to finish, always with honesty and integrity are the things you can expect from her as your Broker. When Carlene is not showing homes, negotiating offer terms, or responding to calls & emails lickity split, she’s likely at a soccer game with her boys or engaging in an occasional Netflix and chill night with her husband, because her family is her greatest source of joy, and they give her the motivation to keep being the absolute best she can be in life – as a mom, wife, and real estater (something the boys use to call her).